The Pepe family is an ancient one in Irpinia, which has for generations been dedicated to the production of wines, marketed throughout Italy and internationally. 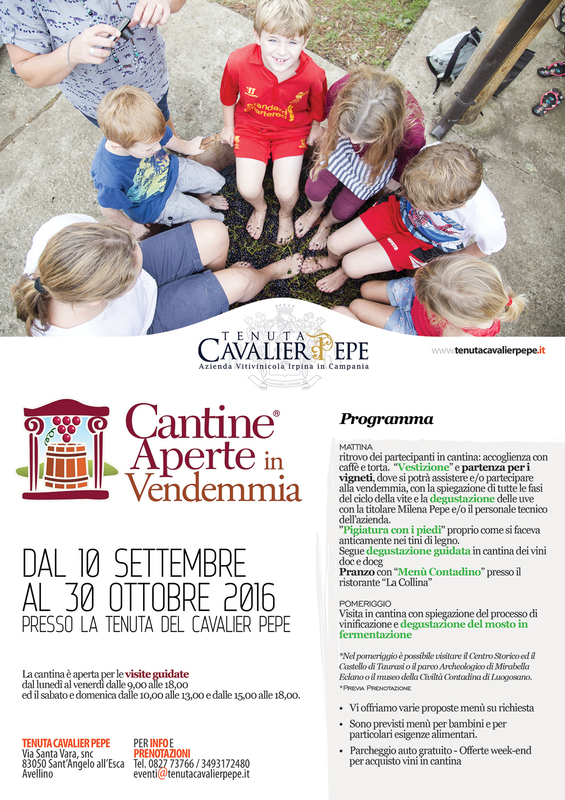 The Tenuta Cavalier Pepe today consists of a winery, a farm, a restaurant and apartments, surrounded by greenery. 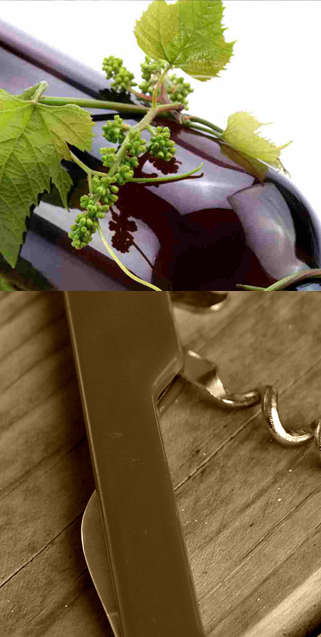 Collectively, these elements come together to form a destination for wine production and tourism of the highest quality. 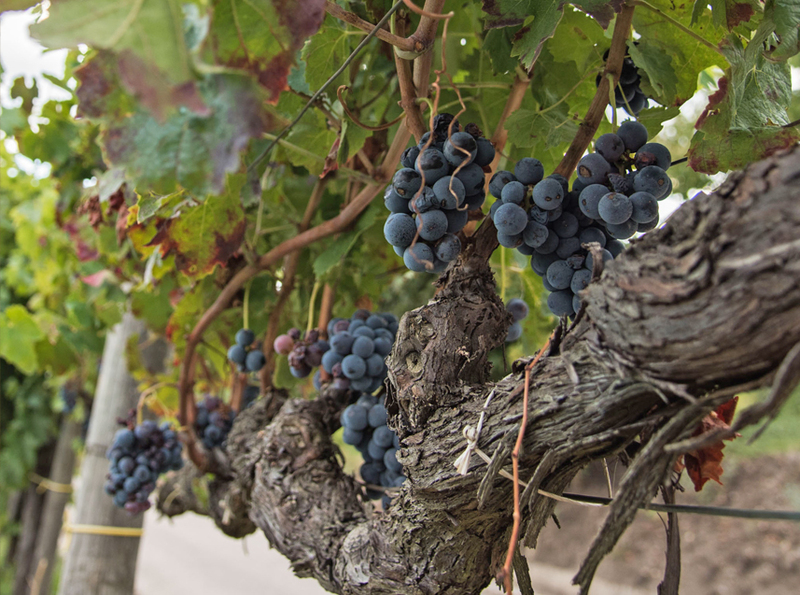 Discover all our activities and the treasures offered by our wonderful terroir. 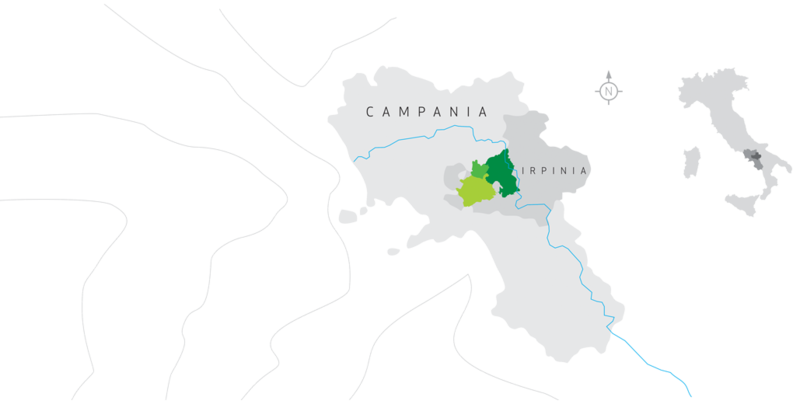 Tenuta Cavalier Pepe is the leader of wine tourism in Irpinia. Visit us and you can follow the wine’s journey from the vine to the glass, through wine tastings and food and wine pairings at our gastronomic restaurant, La Collina. Our winery is open for guided tours of the vineyards and cellar from Monday to Friday from 9am to 6pm and on Saturday and Sunday from 10am to 1pm and from 3pm to 6pm. 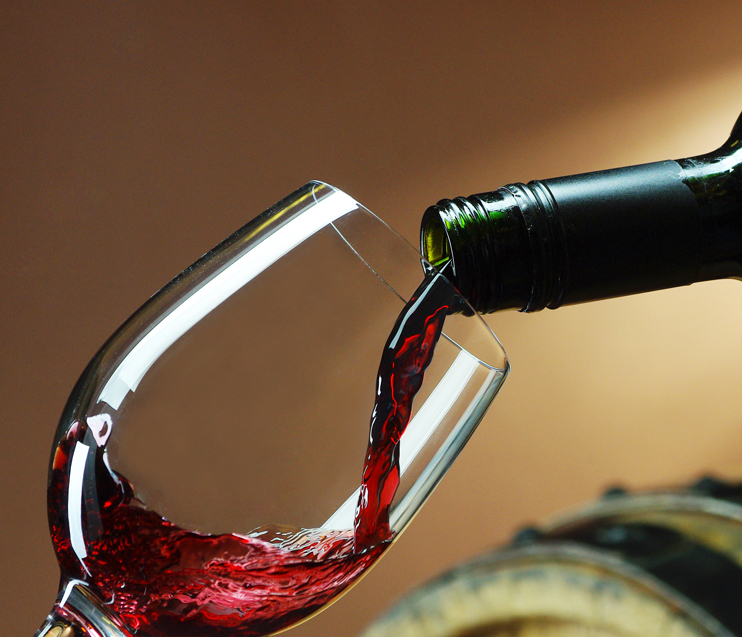 Following the tour, visitors can opt for one of three wine tasting programs, Standard, Superior and Luxury. This tasting includes the following wines: “Bianco di Bellona” Irpinia Coda di Volpe doc; “Refiano” Fiano di Avellino docg; “Nestor” Greco di Tufo docg; “Rosato del Varo” Irpinia Rosato doc; “Terra del Varo” Irpinia Aglianico doc; Irpinia Campi Taurasini doc “ Santo Stefano”. * The higher price is for groups of up to and including 8 people. 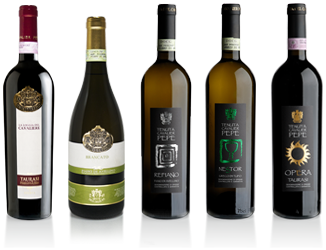 This tasting includes the following wines: “Bianco di Bellona” Irpinia Coda di Volpe doc; “Brancato” Selezione di Fiano di Avellino docg; “Grancare” Selezione di Greco di Tufo docg; “Vela Vento Vulcano”; Irpinia Rosato doc “Terra del Varo” Irpinia Aglianico doc; “Opera Mia”, Taurasi docg. This Tasting includes the following wines along with a platter of typical Irpinia food products: Aperitif with “Oro” Spumante bianco di qualità e Cerri Merry; “Refiano” Fiano di Avellino docg; “Nestor” Greco di Tufo docg; “Brancato” Selezione di Fiano di Avellino docg; “Grancare” Selezione di Greco di Tufo docg; “Santo Stefano” Irpinia Campi Taurasini doc; “Opera Mia”, Taurasi docg, “La loggia del Cavaliere” Taurasi Riserva docg. The recommended route is to follow the A16 Napoli-Bari motorway. Exit at Benevento/Castel del Lago and continue for Taurasi (13 kilometres) and then for Luogosano (3 kilometres). Participants arrive at the winery for a welcome with coffee and croissants. Departure for the vineyards where explanation of the phenological phases of the winegrowing cycle, held by winemaker Milena Pepe and/or the winery’s technical staff. Visit to the winery with an explanation of the winemaking process, accompanied by an aperitif of “Cerry Merry Dry”. Technical tasting in the tasting room featuring five of the estate’s wines, including Irpinia’s most important DOC and DOCG. Children will have the opportunity to taste jams as an introduction to approaching wine tasting and aromas. “Peasant Menu” lunch at La Collina restaurant or an affiliated restaurant. On request it is possible to visit the castle of Taurasi, the Archaeological Park of Mirabella Eclano, the museum of rural culture in Luogosano or the Abbazia museum, the sanctuary and the painting of the Madonna di Montevergine. Various menu suggestions are available on request, including menus for children and for special dietary requirements. 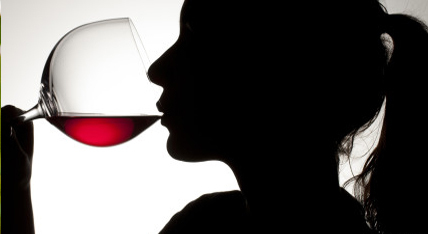 Weekend offers to purchase wines in the cellar. The winery is open for guided tours from Monday to Friday from 9am to 6pm, and on Saturday and Sunday from 10am to 1pm and from 3pm to 6pm. Morning 10am-10.30am: Participants arrive at the cellar for a welcome with coffee, fruit juices and homemade cakes. “Vestizione” and departure for the vineyards, where visitors can observe and/or participate in the harvest. 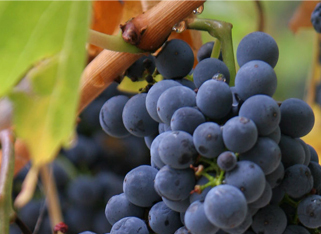 An explanation of all phases of the vine cycle and a tasting of the grapes will be held by winemaker Milena Pepe and/or the winery’s technical staff. A toast (“brindisi”) with a glass of our “Oro” Spumante. Foot-stomping in wooden vats to press the grapes as was done in the past. Technical tasting in the tasting room featuring five of the estate’s wines, including Irpinia’s most important DOC and DOCGs. Children will have the opportunity to taste jams as an introduction to approaching wine tasting and aromas. “Peasant Menu” lunch at La Collina restaurant or an affiliated restaurant featuring wines from the estate. Visit to the winery with an explanation of the winemaking process and a tasting of the grape must. A truly unique way to visit the rolling hills and vineyards of Taurasi is by bike. Our tours are managed by a guide and planned for a minimum of ten people. “Peasant Menu” lunch at our restaurant, La Collina. Tasting in the cellar with typical local products and a selection of DOC and DOCG wines from Tenuta Cavalier Pepe. Tenuta Cavalier Pepe offers sustainable wine tourism in the form of walking trails, winding through our 55 hectares of vineyards and 11 olive groves, set among the rolling hills of Taurasi. Our trekking tours are conducted by a specialist nature guide who will lead you on a panoramic tour of this remarkable terroir. Equipment including walking sticks will be provided by Tenuta Cavalier Pepe.